In my own opinion, the endless discussions about printer lasers vs. inkjet do not help in anyway. It only confuses the online shopper even more by misleading them with the concept that the laser type of printer is better or vice versa. Only to find out later that what was finally decided on was not suitable to one's needs. I had been through such an experience and ended up having both type of printers. Nevertheless, since inkjet printers are really not that expensive, having two types of printers was not a bad idea after all, since each type of printer had their own unique qualities. In reaction to the printer lasers vs. inkjet printers issue, I initially bought the HP Deskjet D1660 Printer which costs me only $31. It was a bargain of course. I bought this in October 2009 and until now the printer is working just fine. For its $31 dollar worth, I think that this is an amazing printer, considering that my daughter ended up using it. In fact, I was impressed by its laser-like quality prints that I thought it could do every job on demand. Unfortunately, I found out that I tend to consume so much ink by virtually loading it with text documents that I had to churn out for my tutorial students. Nevertheless, the cost of the printer's ink can be bought direct from HP cheaper by $10, the only thing is, I order much too frequently for comfort. So this is what they meant by inkjet printers consuming more because it literally spray paints the ink on the medium. However, it has its plus points because it can print on several types of media as long as the latter are of good quality. This was not what I needed though despite its cheap price, great looking text prints and ability to print on different types of paper. This was what my grade school daughter needed and I like it that she enjoys the idea of having her own printer. For its price, it was easy to let go at my young daughter's disposal. I had no qualms even if it broke down with constant use; but my daughter is so proud of having her own printer that she makes it a point to follow every instructions. As I said, it is still working up to now and has served my daughter well for her graded reports and school presentation projects. Hence, so much for printer lasers vs. inkjet printers issue and which one is better. It all depends on who is going to use it. Since my daughter uses it only occasionally and for lighter workloads, I no longer buy inkjet inks frequently. The $14 ink comes in the right amount, because adding more ink in the cartridge will only render the rest unusable since they will dry-up if the printer is not in often use. I bought my own printer laser and quite satisfied that for a higher price it produces higher quality results compared to the $31, HP Deskjet D1660 Printer. 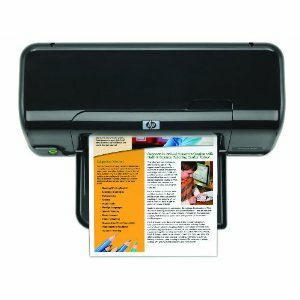 It is more economical if used for printing loads of text documents and occasional photo prints. Unlike the inkjet, it doesn't spray paint profusely but captures the image and uses up ink based on the document or image that needs to be printed from its memory. So if you're in search of a printer, don't mind the issues about printer lasers vs. inkjet printer and that one type is better than the other. Each has its own advantage and you only need to maximize it according to your purpose and needs.